Listen Notes is a one-person company, built and run by Wenbin Fang. You can help offset our operational cost (e.g., paying server fees) by sponsoring this website. 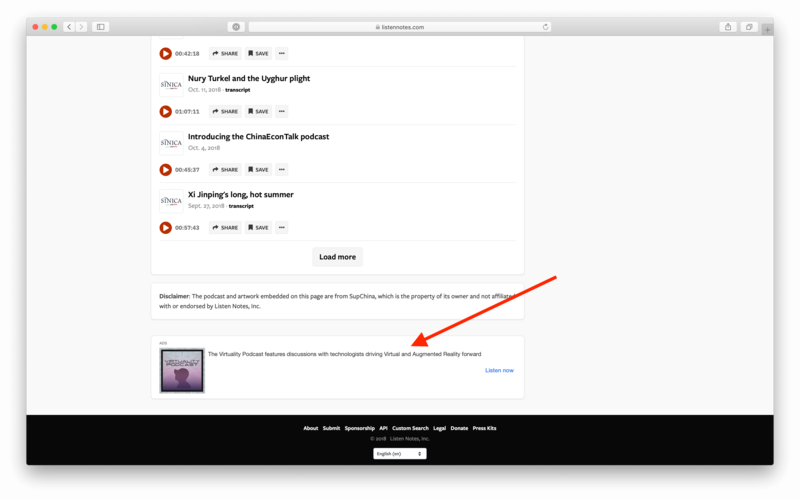 At the same time, your podcasts (or relevant products) will be promoted on the website and reach new listeners (or customers). 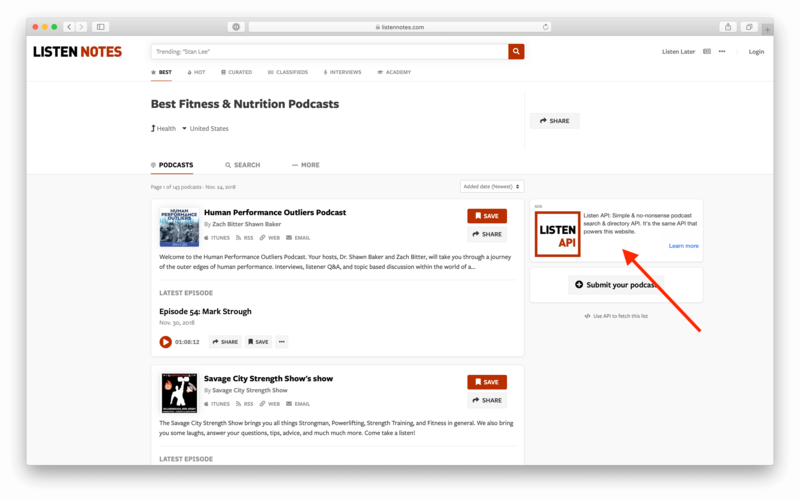 Most visitors are podcast creators or listeners, who are loyal, affluent and educated. We sell ads by impressions. CPM is $4. Minimum spend is $10k (2.5 million impressions guaranteed). Your ads will be shown in the following 5 ad slots across every page of this website. You can provide different URLs for iOS, Android, and desktop users. Once the promotion starts running, you'll get a performance report, tracking impressions and clicks. We manage ads on Google Ad Manager, which delivers ads & tracks performance. 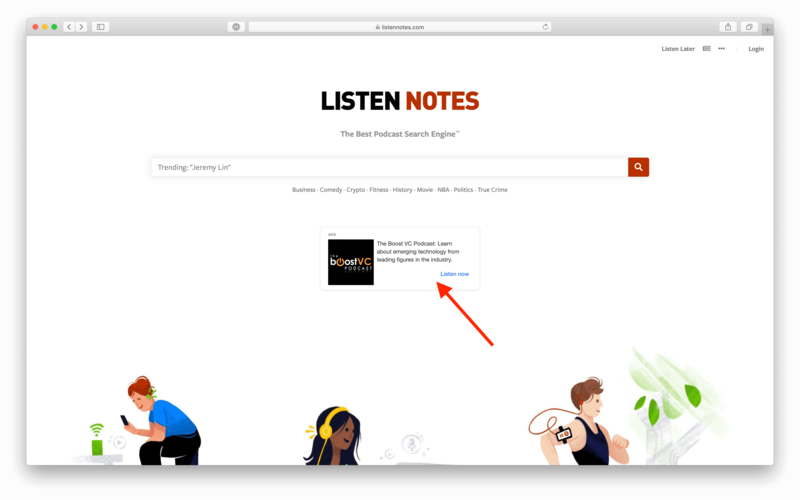 Listen Notes is a website. As you can see, our ads are banner ads. Generally speaking, website banner ads are not as effective as mobile ads, in terms of converting a transaction, e.g., click on ads and buy things immediately, click on ads and subscribe to your podcasts right away. 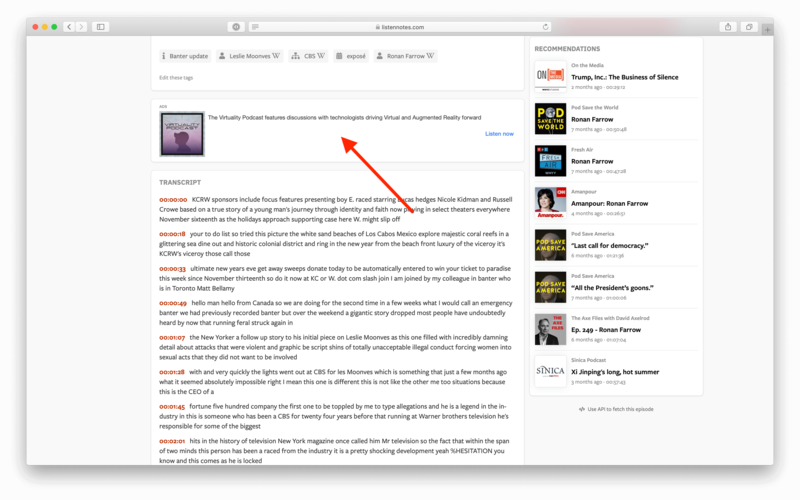 If your goal is to get as many podcast subscribers as possible in a short period of time (e.g., a few days), then advertising on Listen Notes may not be a good fit. However, running website banner ads could be good for branding, if your banner ads are shown to people repeatedly for a long period of time. Advertising on Listen Notes should be complementary to your other ad campaigns. Different ad campaigns achieve different goals. The price and quantity of ads sold may change based on the website traffic growth in the future.